> Will retail be the real champion of the World Cup? Posted: Thursday 12th June 2014 in Paid Media, Retail Strategy, Thought Leadership. Some things naturally work well together; ‘Fish and Chips’, ‘Strawberries and Cream’, ‘Ant and Dec’, sadly, ‘England and The World Cup’ isn’t one of them. Whilst some might have nostalgic memories of 1966, more recent memories of England in the World Cup are dominated by multiple penalty shootout defeats. The ‘Hand of God’ at Mexico ‘86 and Gazza’s tears (special mention also has to go to Chris Waddle’s mullet) at Italia ’90 are haunting memories for Englishmen and women alike. Although general expectations are arguably more realistic than in previous years, England are 28-1 outsiders according to Paddy Power. This suggests that it will all end in disappointment yet again for the Three Lions in Brazil. Even England’s brightest minds such as Professor Stephen Hawking, have firmly set our expectations. But it isn’t all bad news for England; UK retailers can expect to fair well across the next few weeks regardless of the results on the pitch. Most consumers (71%) indicated in research that they would welcome promotions from brands they don’t normally purchase from during the World Cup, highlighting the potential for retailers to grow their market-share and their consumer base. TV audiences are expected to be huge, with some experts predicting the global TV audience could be bigger than that of the 2008 Beijing Olympics where 3.6 billion people watched. 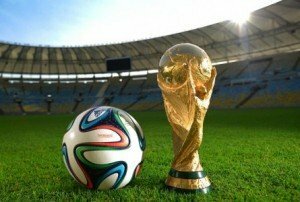 In 2010 530 million people watched the World Cup final and almost 18 million watched England’s 4-1 defeat vs. Germany, indicating the potential for retailers is huge not only in this country, but across the globe. Even if England live up their usual track-record and crash out of the tournament early, then the increase in retail sales is still predicted to be significant with a combined forecast of a £1,883m increase across all sectors. Around 20% of this increase would be generated from pubs, clubs and restaurants, presumably to help drown the sorrows of a nation. Although England only managed to score 3 goals at the last World Cup in South Africa, research has shown that every goal scored by an England player in Brazil would be worth around £165m to England’s retailers and an extra £33m to the hospitality sector. If England managed to upset the odds and get to the final however, then retail merchandise sales would rise a further £1,032m and spending in the hospitality sector to rise by an additional £256m. One aspect of online marketing that should be considered is how people are going to access the internet; around 21.5% of online purchasing is expected to be done on mobile devices. The 2014 Champions League final saw mobile usage increase significantly during the game for example, something that should be taken into account when planning marketing campaigns across the World Cup. The World Cup is a great time to be a football fan (at what other time would grown men dare to walk into their local pub wearing face paint?) and even if England do catch an early flight home, at least there will be a wider benefit for retailers and the UK economy. My head tells me to prepare for the worst, but my heart tells me it could be 1966 all over again; either way it’s going to be a great time for football fans and retailers alike. 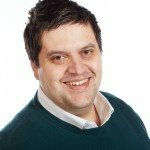 If you have any questions or want to know about how Summit helps retailers make more money online please contact Dave Trolle.